Paul Chek's Blog » General » Happiness » Vaccinations: Your Health Is Being Stolen! Well, the New Year is upon us, and I suspect that you too are rolling back into the full swing of our normal work world after the holiday season. 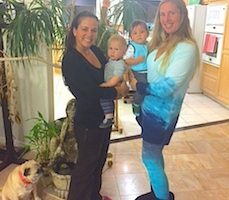 I had some much needed rest and time to spend with my family, and got a lot of joy out of doing things with Penny, Angie and Mana. Angie and I are working on our 2017 mandalas (she’s pretty much finished but I’m a little slower in my artistic expressions) and I’m having fun listening to my inner-guide whenever I get a little time to paint. I’ll share what we created when we are both finished. By the way, Thank You! to all of you who voted for me in the barefoot educator contest. I ended up winning the most influential barefoot educator category, which is lovely considering I was lecturing on the importance of primal movement, primal lifestyle and functional exercise before some of the contestants were even born, I suspect. Vaxxed is an investigation into how the CDC, the government agency charged with protecting the health of American citizens, destroyed data on a 2004 study that showed a link between the MMR vaccine and autism. This alarming deception has contributed to the skyrocketing increase of autism, potentially the most catastrophic epidemic of our lifetime. This excellent documentary splits the world of government and Big Pharma wide open with hard facts and expert testimonial from within the CDC itself. It clearly shows that your health and safety ARE NOT the first concern for big industry, nor governments in general. The governments in general — PARTICULARLY the U.S. government — is well seeded with “insiders” who have a corporate agenda. A lot of money is being spent to control the media, influence medical literature and mislead people. For the record, I have nothing against SAFE vaccinations. Scientists are now considered the world’s modern prostitutes, and Vaxxed highlights this very issue clearly. I get a constant stream of emails asking for my opinion on vaccinations, and what to do. Dr. Tenpenny is a past client of mine and she has a wealth of experience in this field. She’s a well known, highly regarded expert on all relevant issues of vaccination. Even though Angie and I did a lot of research on our own prior to Mana being born, I still wanted to hear Dr. Tenpenny’s opinion. We have followed Dr. Tenpenny’s advice and, so far, Mana hasn’t had a single case of diaper rash, a runny nose or a cold, and is as strong and healthy as a kid can be. Every time Angie takes Mana in for a checkup, the doctors and nurses all comment repeatedly on how strong, awake and healthy he is. 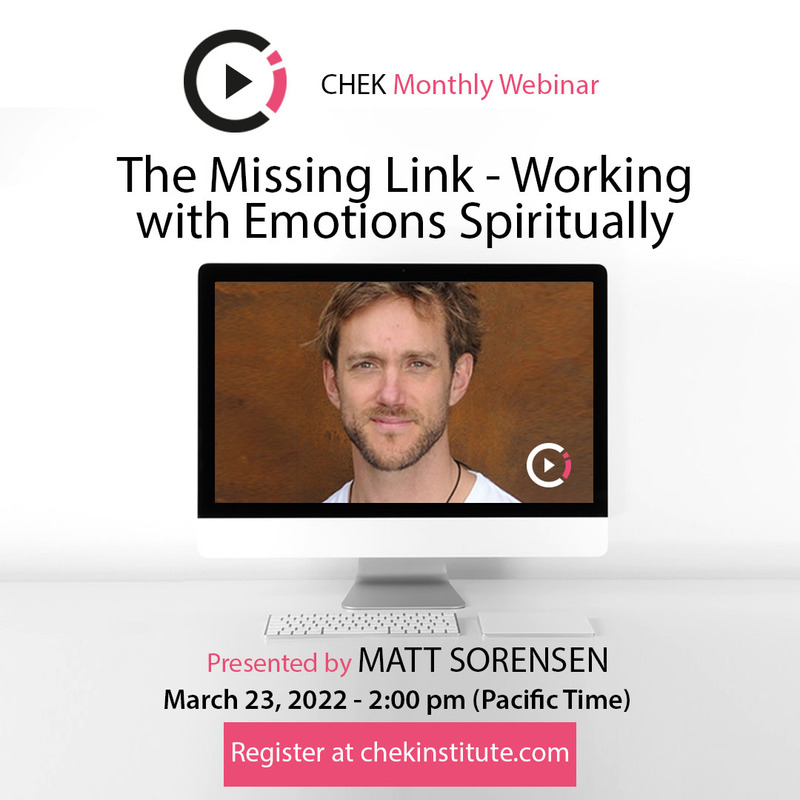 I get the same feedback from CHEK Professionals who live the C.H.E.K Institute teachings around the world regarding their children and comments from doctors and nurses. For those of you who are ready to stand up for yourselves and the safety of all human beings, please follow this link for clear instructions for doing that effectively and efficiently: https://vaxxedthemovie.com/take-action/. Dr Tenpenny’s website is https://vaxxter.com/. A report published last week by academics at Imperial College London and two Brazilian universities shines a light on yet another deception by the food industry. Countless millions of people actually believe what they see on TV, hear on the radio and read in magazines when it comes to “less calories = less body weight,” and fall hook-line-and-sinker for calorie-reduced drinks and foods. If that’s not enough, in a time when water shortages are becoming a major problem in many parts of the world, the report reveals something that is most astounding: It takes up to 300 liters of water to make as little as a half-liter of an artificially sweetened drink! Over and over again in my practice, I’ve seen ill health and high levels of toxicity in people who’ve consumed such food products for any length of time, and many parents whose children are sickened from eating and drinking this way. My book, How To Eat, Move and Be Healthy!, my audio/workbook program titled You Are What You Eat!, and my multimedia ebook, The Last 4 Doctors You’ll Ever Need – How To Get Healthy Now! give you the basic awareness and training you need to eat, move and be healthy! 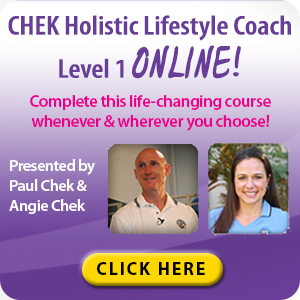 For those of you who want more guidance on applying and living the principles I share in the resources above, we now offer CHEK Holistic Lifestyle Coach Level 1 (HLC 1) online so you can learn right at home on your own schedule. 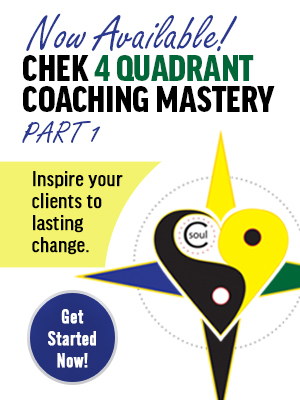 To learn more about HLC 1, go to https://chekinstitute.com/chek-holistic-lifestyle-coach-program/. 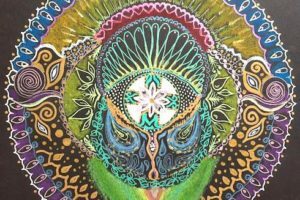 Cathy Carr’s 2017 Mandala is beautiful, as are all of her mandalas, so I had to share this one with you today. I love her beautiful, intricate designs, many of which feature patterns that appear all around us in nature. I hope she inspires you to create your own 2017 mandala. 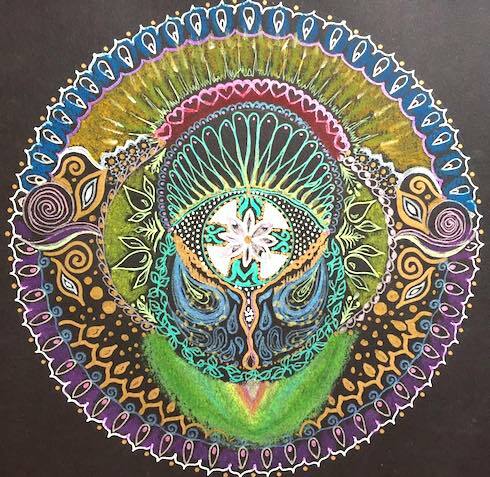 To learn more about Cathy Carr and her amazing mandalas, go to www.cathycarrmandalas.com. During our most recent C.H.E.K Instructor meetings here at my office, I took the instructors through a Native American power animal retrieval journey. It was quite an interesting experience for them. In fact, you can see an awesome time-lapse video of Matthew Wallden drawing his tiger power animal. Click on this link to view Matt’s art and be inspired! 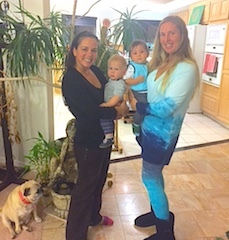 Kim Nelli, HLC 3 and Conscious Birthing educator from Hawaii, came to visit Angie and me with her most recently born child, Pi. He is a beautiful boy and we had a lot of fun catching up on each other’s lives and letting our kids play with each other. 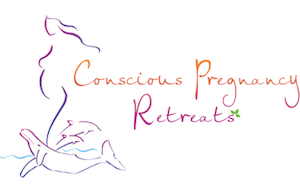 Kim is a very knowledgeable and skilled expert on conscious birthing, and helps women prepare themselves for natural deliveries through many holistic body-mind approaches through her business, Conscious Pregnancy Retreats. 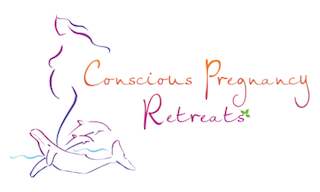 She also works with the dolphins as part of her offering, which is really quite amazing. You can learn more about Kim Nelli and her services by clicking here. Mana and Pi both enjoy drumming. 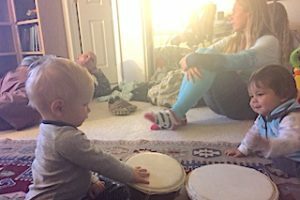 It was fun to watch them play with the drums together. Angie lets Mana watch his favorite African drumming instructor on YouTube quite often. 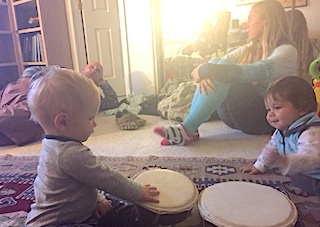 He’s really gotten good at holding a beat and can play for several minutes at a time now. It is very fun to watch. Mana and Pi both share a love of water! We have to watch Mana very closely because one of his favorite things to do is grab his doggie’s (Maggie’s) water bowl and dump it all over himself and the floor. And, then, it’s into her food. 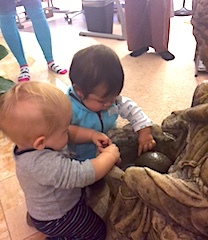 I never dreamed my beautiful stone fountain would be one of Mana’s favorite places to play one day, but so it is! He loves to put all my gemstones in there, then as much of the dirt from the tree nearby into the water too! 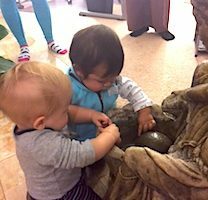 We do our best to “encourage him to stick to the stones.” Never a dull moment when you have a healthy little boy, let alone two boys here at the same time! 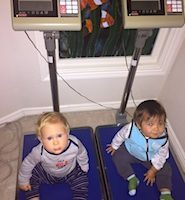 Angie and Kim went to my treatment room, where I have some very exotic scales I use for orthopedic assessments to weigh the boys. It’s so cute to see them. They look like a couple mini prize fighters weighing in. 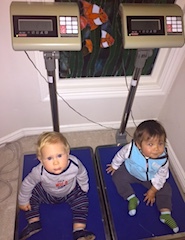 Of course, that’s the last thing I hope they end up being weighed for. I know all about that road and, needless to say, it’s a bumpy one! I wanted to also share this excellent paleo book by my student Helen Padarin who co-authored it. The book is filled with wonderful nutritional information and easy to create recipes for expectant Moms and all the way through the first year of your baby’s life. I hope you’ve all enjoyed my blog today.